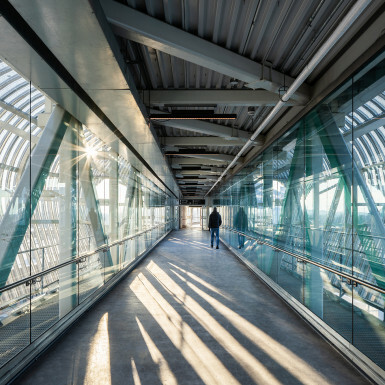 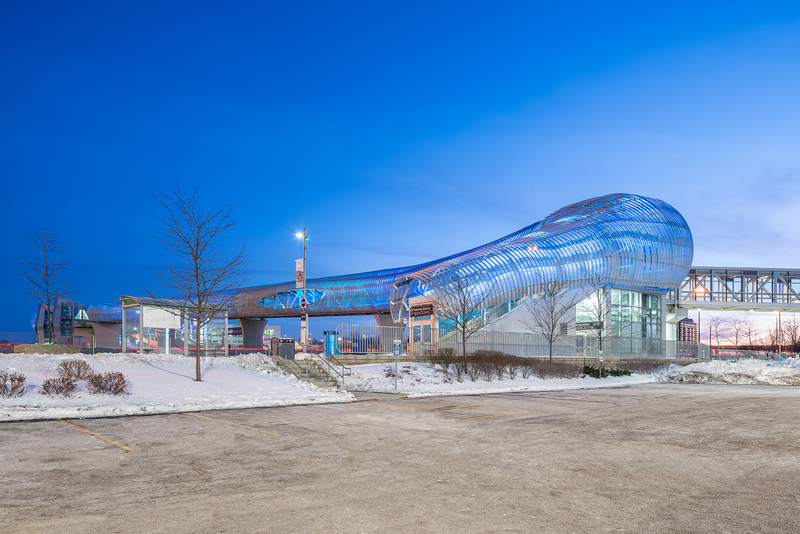 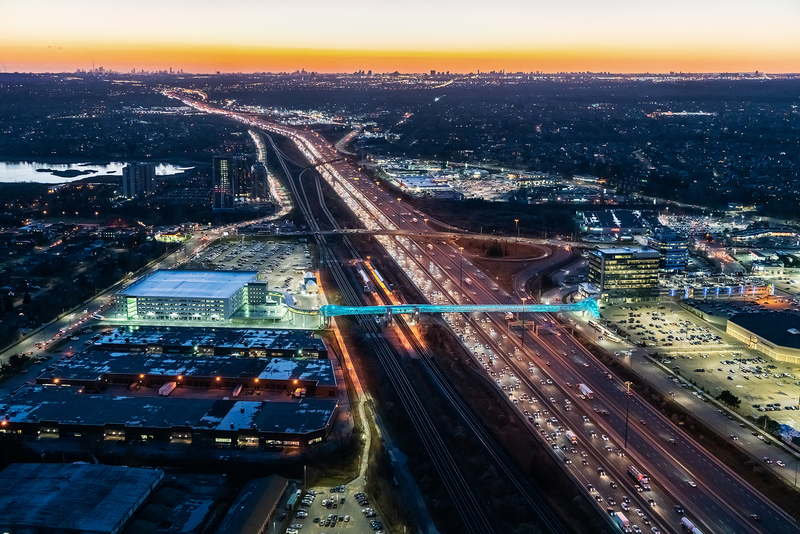 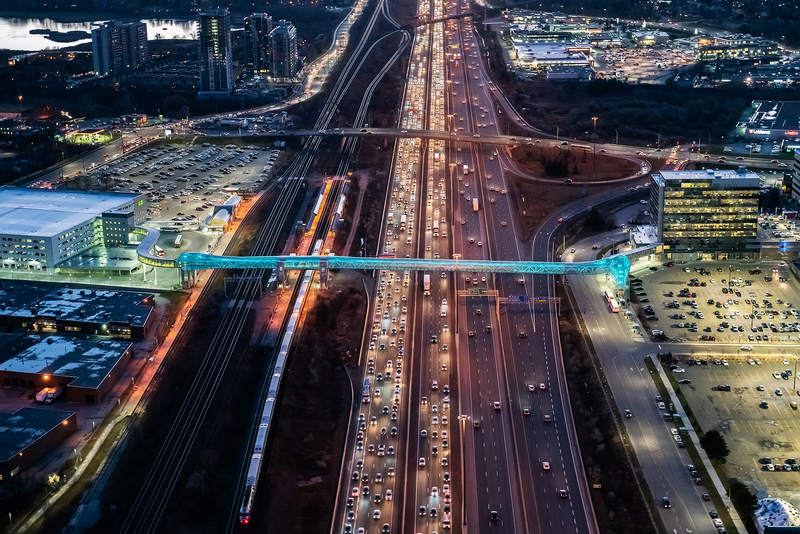 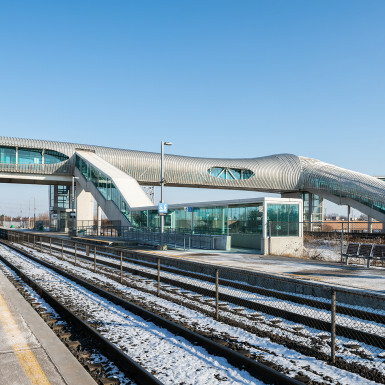 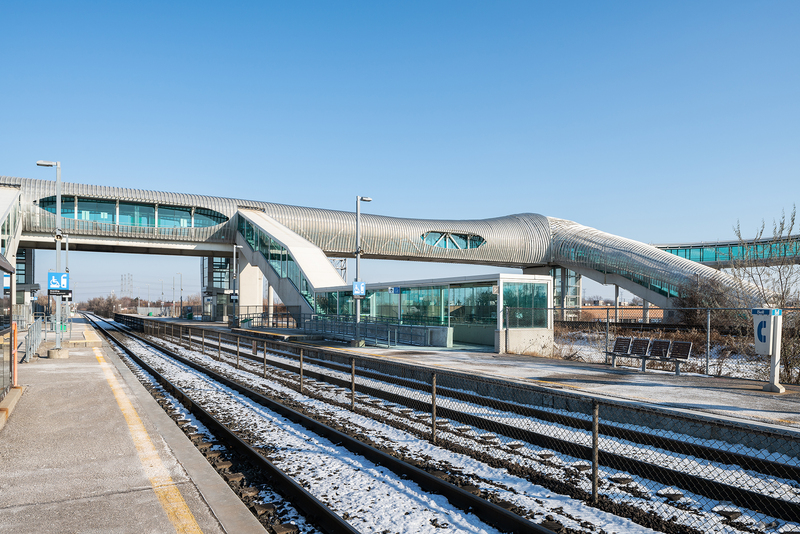 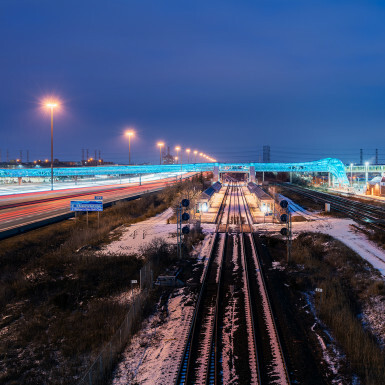 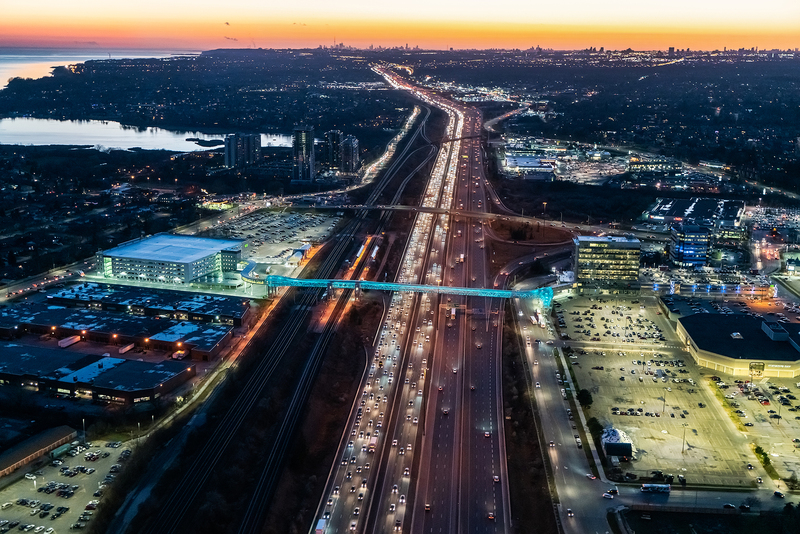 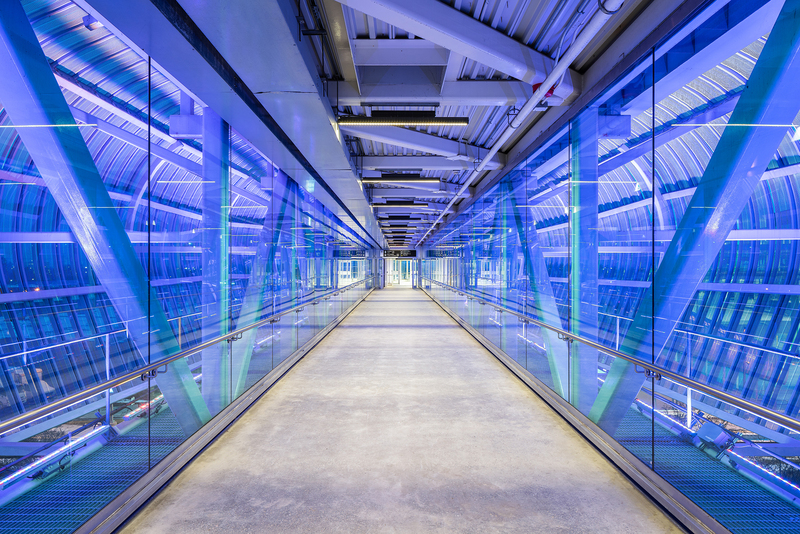 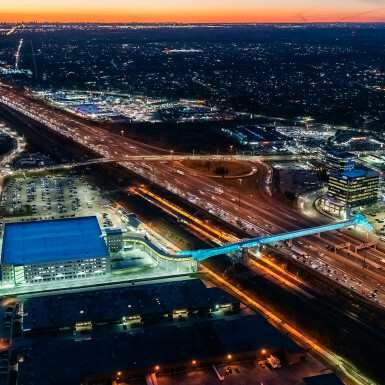 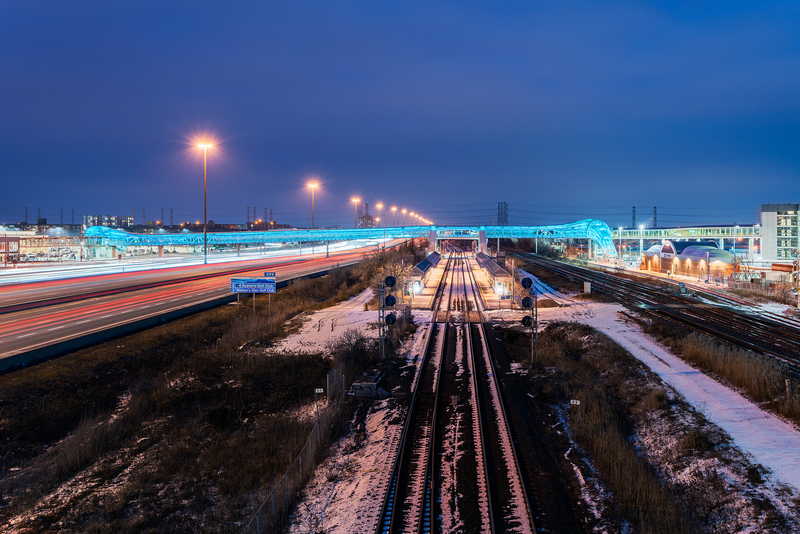 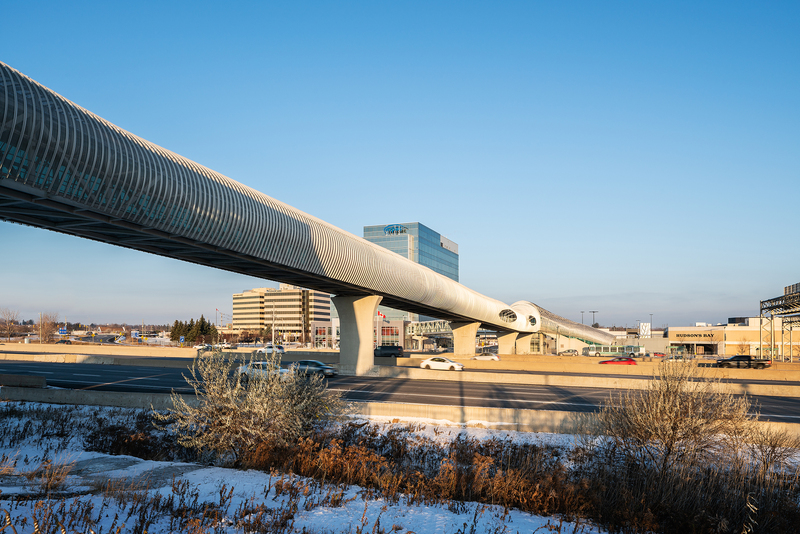 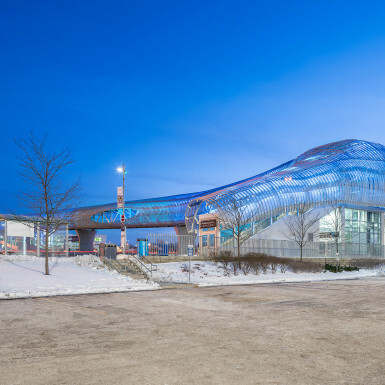 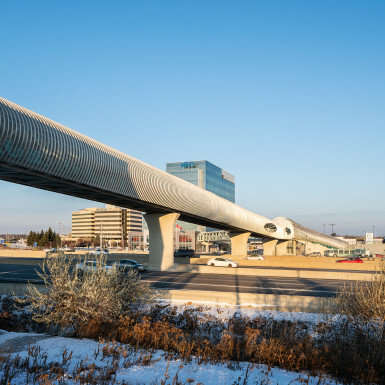 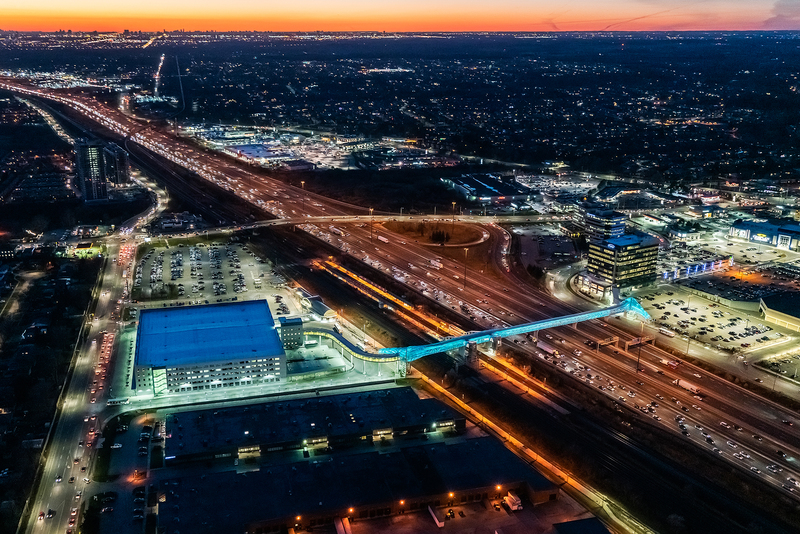 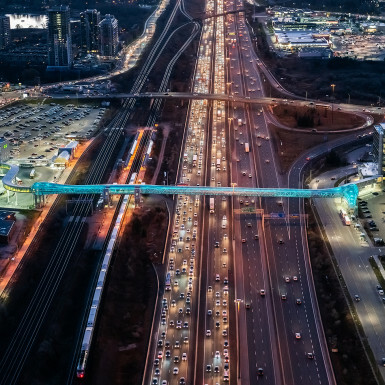 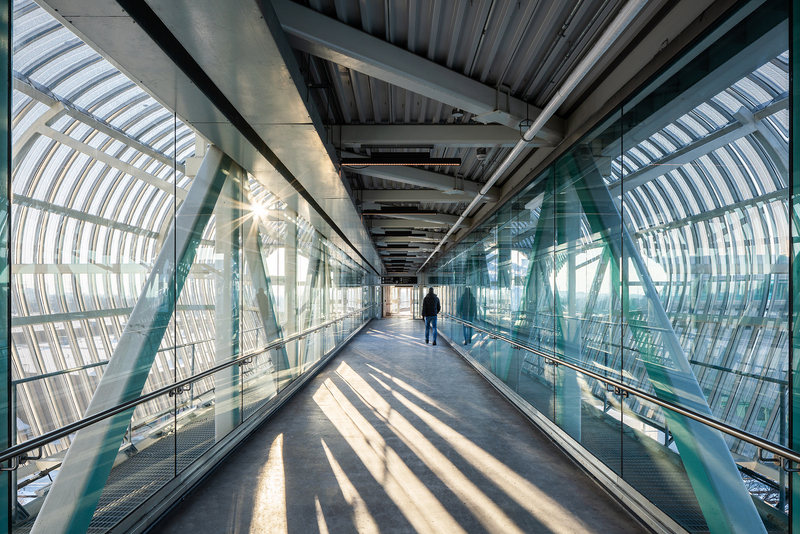 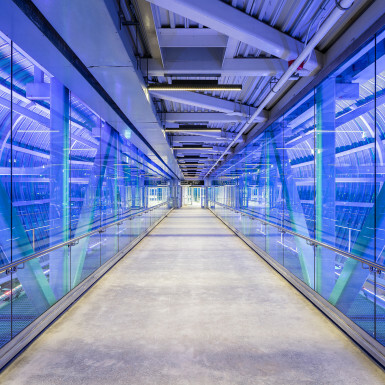 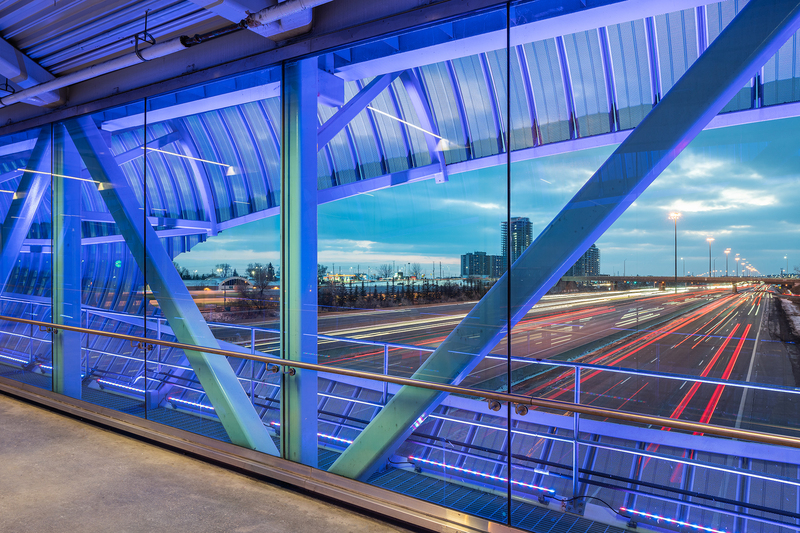 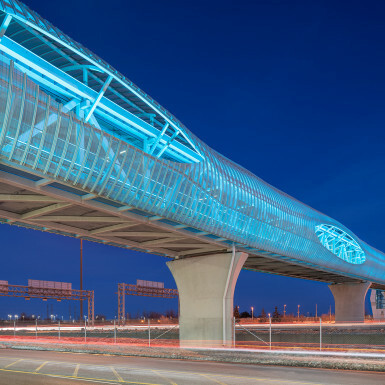 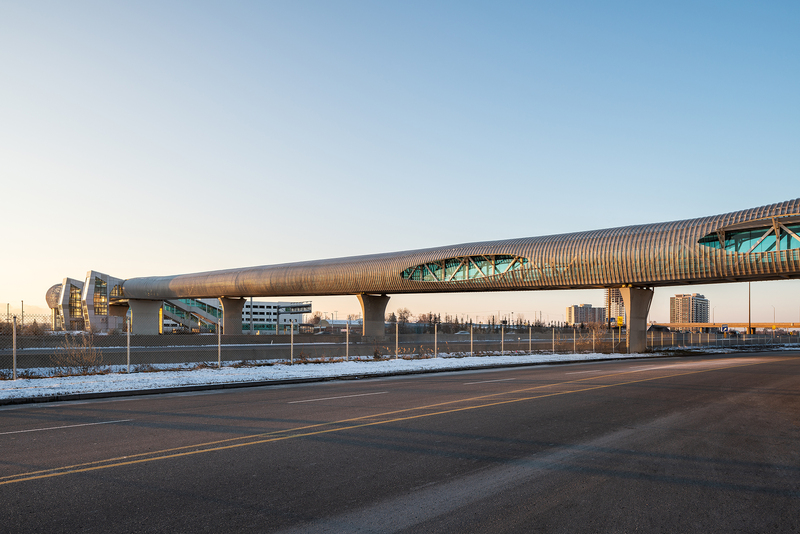 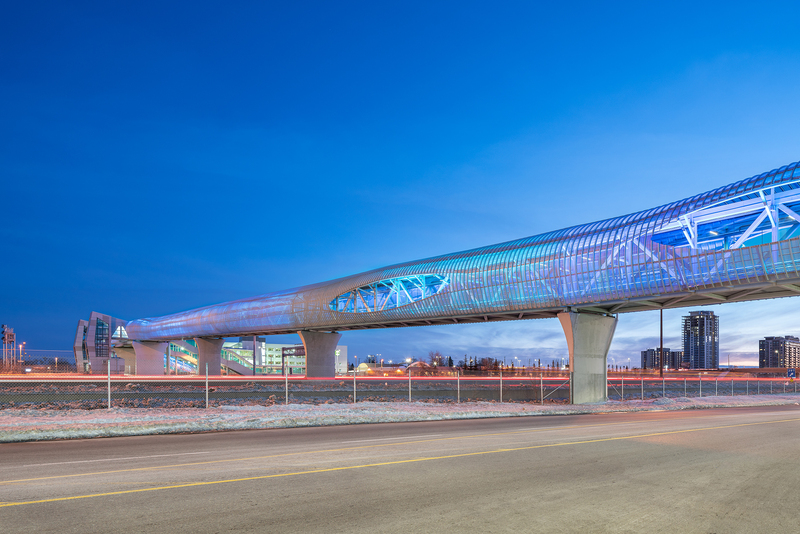 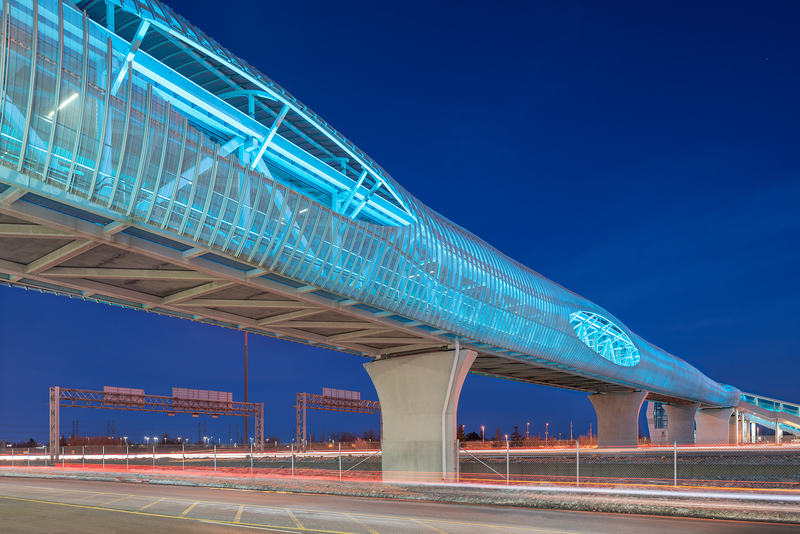 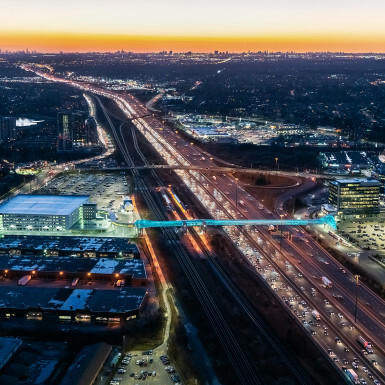 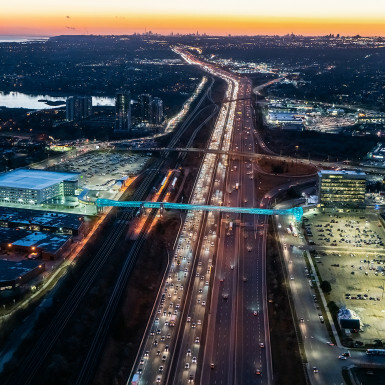 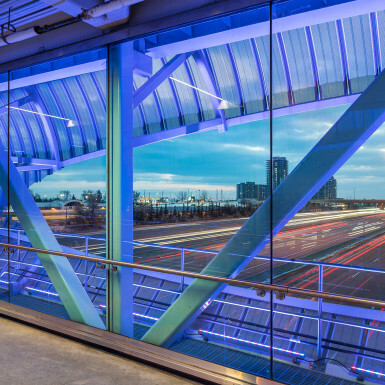 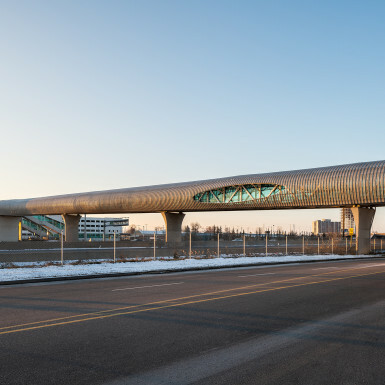 Located in Pickering just east of Toronto, this major pedestrian bridge over Highway 401 and CN rail lines connects the GO train transit station on the south side to parking and commercial development to the north. 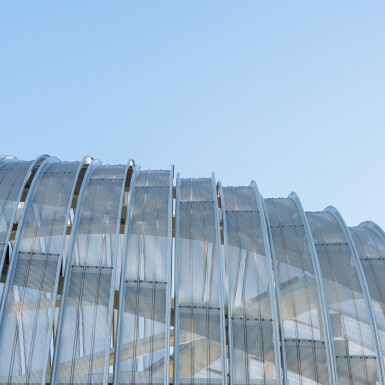 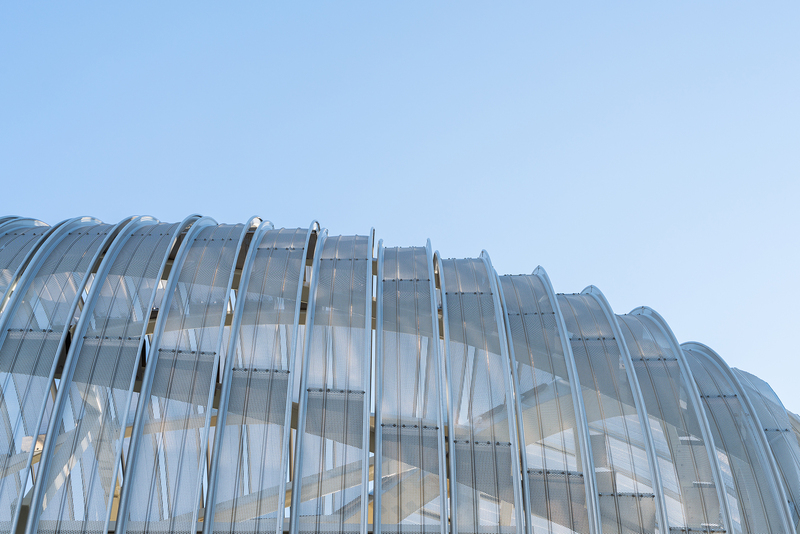 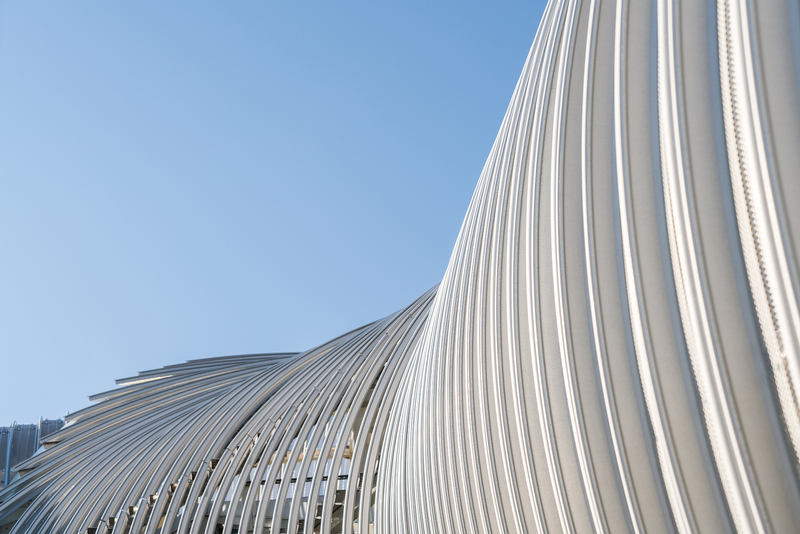 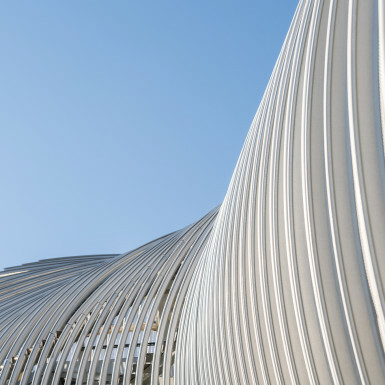 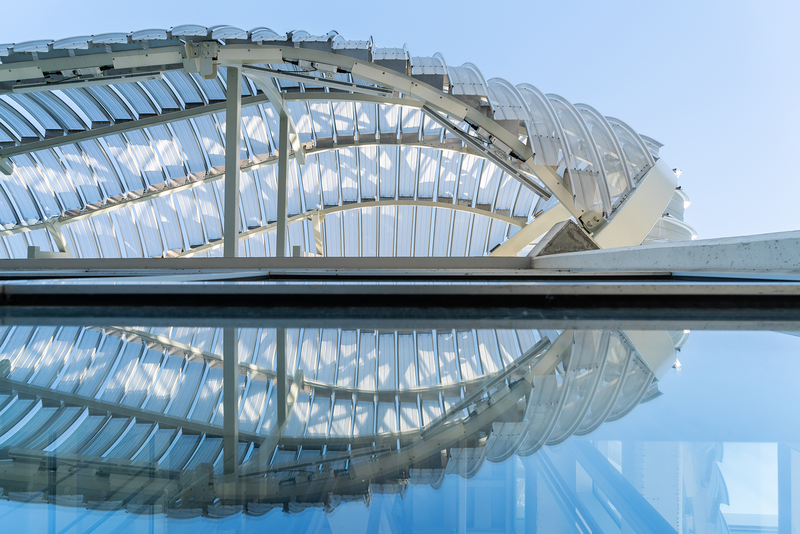 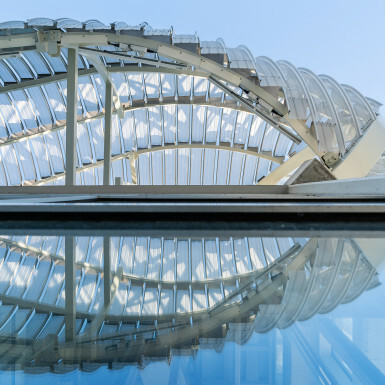 Constructed of a simple exposed truss and clad in perforated metal panels, the undulating sculptural form provides dramatic framed views east and west along the highway. 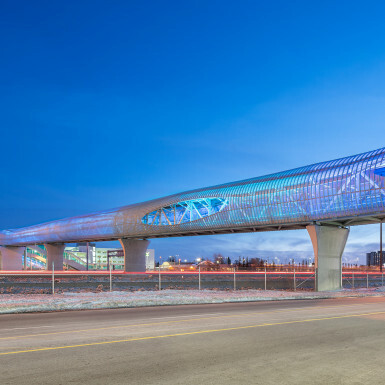 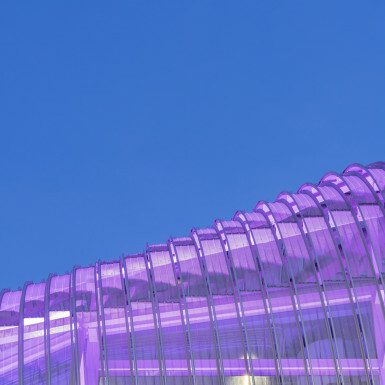 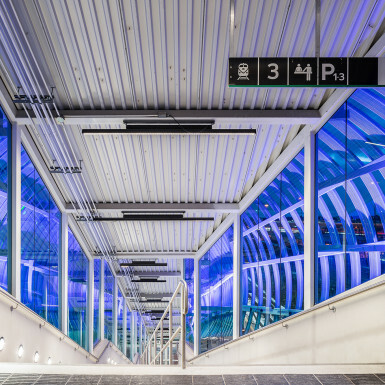 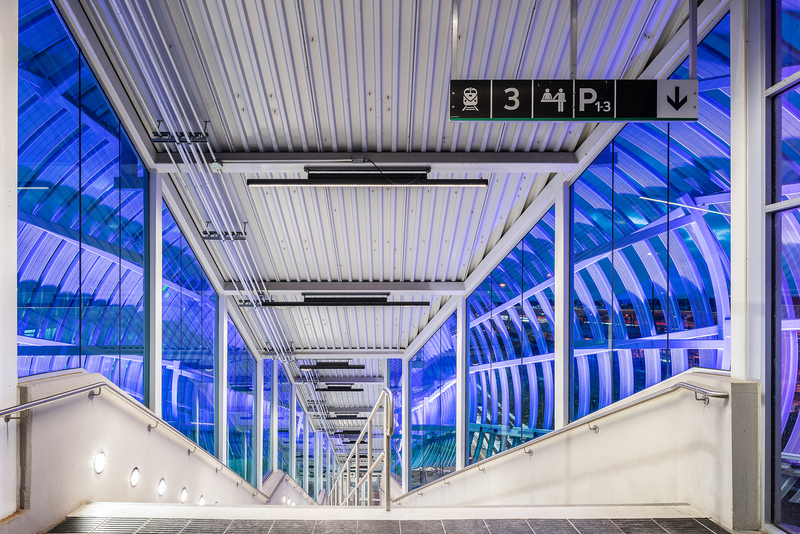 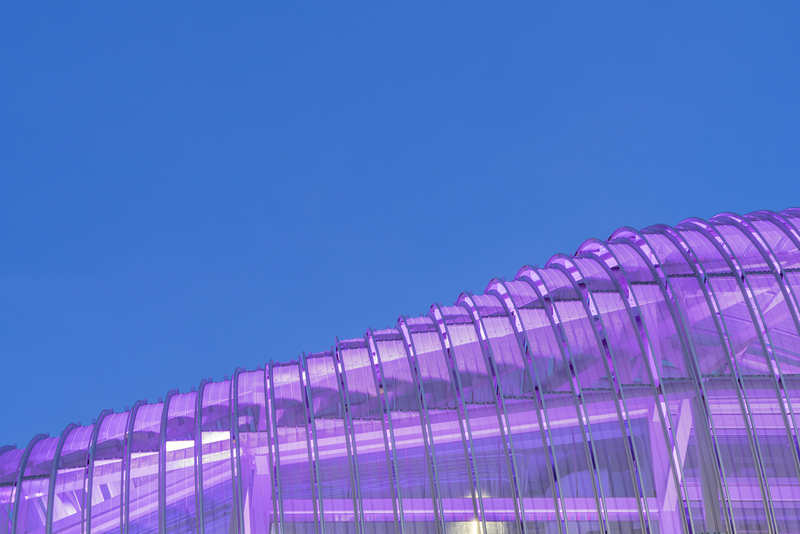 Programmable LED lighting creates vibrant changing light patterns at night.